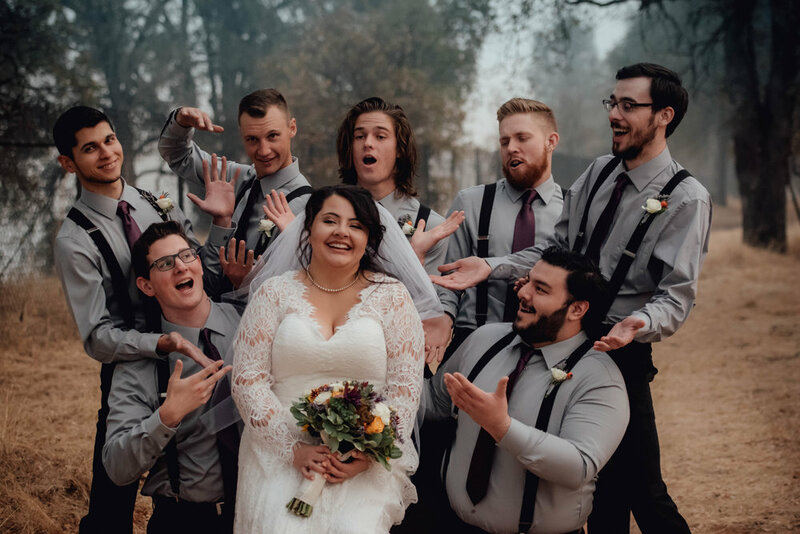 Austin and Hannah had their wedding on a smokey November Saturday. I met this lovely, fun-loving couple a few months back when I did their engagement session at the UC Davis Arboretum. Despite the smokey conditions, the wedding continued on as planned at the elementary school that Hannah teaches at. It was definitely a unique location! I was primarily shooting video for this wedding, so all the photos you see in this post are from my second shooter Michael. His style and tone is definitely different than mine, so I wanted to show off some of his stuff! At the end of this post, you can see the short video highlight that I cut from the footage I captured. 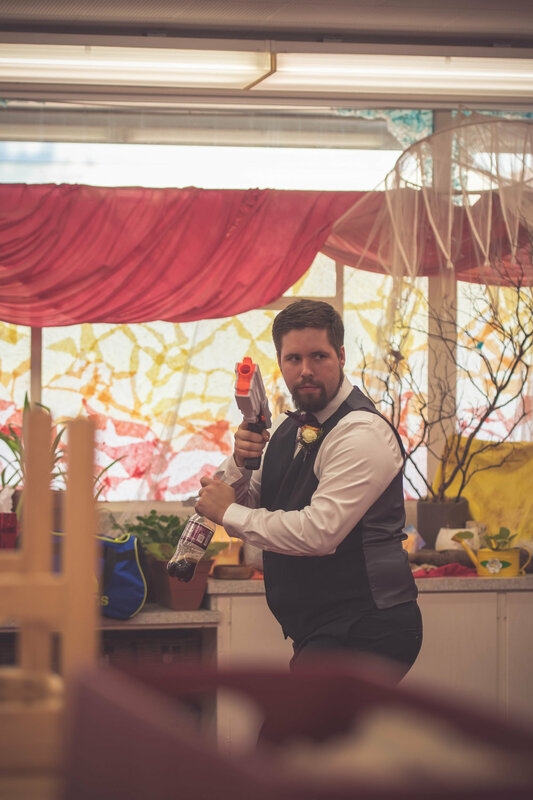 Austin was having a ton of fun before the ceremony with some high-powered Nerf guns. When Michael and I walked into the grooms room, there were Nerf darts flying all over the place! I thought it was a great way to cut the stress of a wedding by engaging in this fun activity. I like this shot that Michael got of Austin. Austin’s looking very Bond like here. The bride and bridesmaid room definitely had a different feel than the boys’ room. Here there was much more excitement and anticipation. 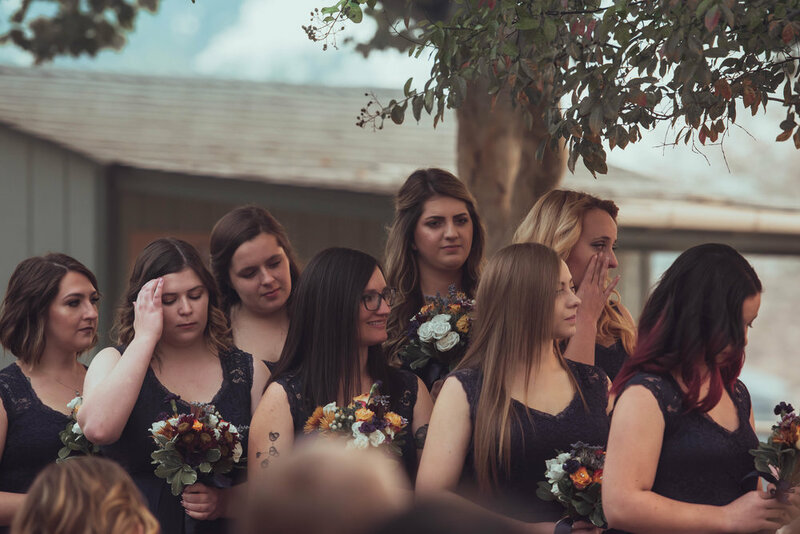 Hannah and Austin had a very large bridal party so all the girls were helping Hannah get prepped for the ceremony. 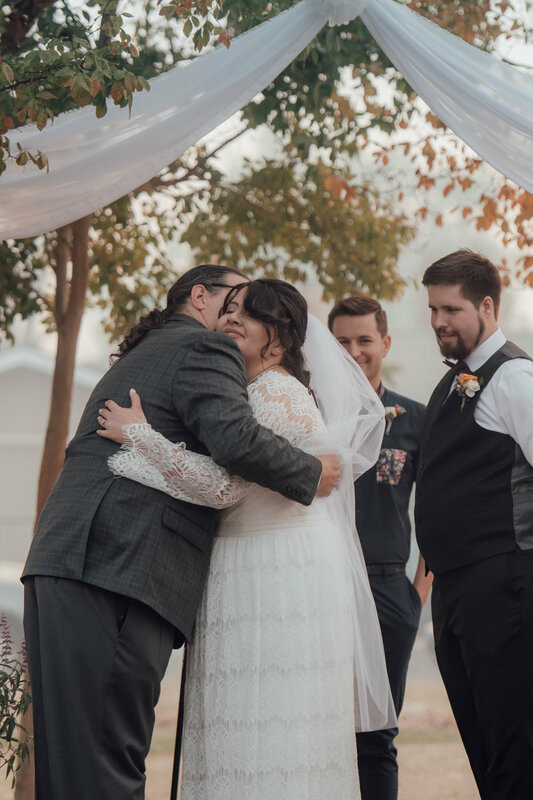 I’m so glad that Michael was able to catch these little moments during the wedding. These are the same types of moments that I love being able to find whenever I do photography. Michael’s processing in his photos are more muted, which lends to an elegant look for wedding imagery. Here’s a shot of the bridesmaids during the wedding. There’s just something about the color tones that really draws me to this image. I also like the fact that each bridesmaid seems to be feeling something entirely different from the others. Here’s a classic shot of the bride and groom at the alter. It’s very simple, but this is a shot that is a necessity whenever wedding photos are taken. Michael uses a Nikon to capture all his images. I can definitely tell that the color rendering from his camera is different than what I typically use. It’s not a bad thing at all, I love that it is different! Michael’s work is really nice and I love the images that he was able to get. He also processed his images very quickly. If you’d like to have him join me as a second shooter, please inquire about him when discussing your wedding package. And here’s my highlight video from the day! If you’re looking for wedding video or photos, please let me know via the contact page. I’d love to hear from you!